As has been widely reported, the facelifted Maruti Suzuki Ciaz will come with a new 1.5-litre petrol motor. This new K15B motor puts out 104PS and 138 Nm, increases of 13PS and 8Nm over the current car. But this doesn't seem to be at the cost of fuel economy. 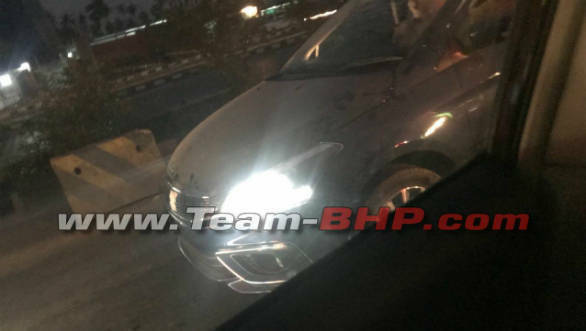 Certain sources on the internet suggest that the new Ciaz petrol will return ARAI-approved fuel economy figures of 21.56kpl for the manual version and 20.28kpl for the automatic. These are improvements from the 20.73kpl for the manual and 19.12kpl for the automatic for the outgoing car. These figures mean that the Ciaz will continue to be one of the more fuel-efficient cars in its class. The 1.3-litre diesel motor will be carried over unchanged. The updated sedan now comes with a sleeker front-end design. The grille is thinner and more subtle. Unlike the earlier car, there is restrained use of chrome with only a thin strip above the grille. The headlamps are reprofiled as well with new LED DRLs. The front bumper is also new as well, with C-shaped chrome inserts around the fog lamps. 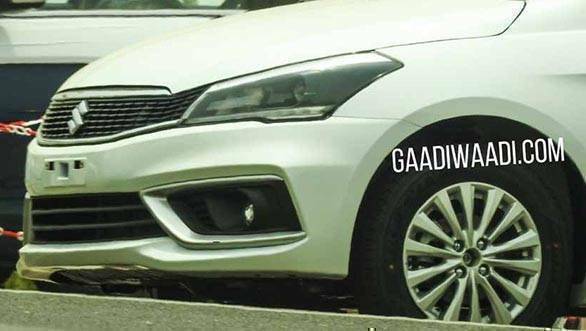 The silhouette of the Maruti Suzuki Ciaz facelift too looks identical to the present model, except for a slight change in alloy wheel design. To the rear, the lights and the boot design have been carried from the present model but feature new LED details. The rear bumper too has got a revision in styling in the form of new contours on the lower section. The only image of the interior of the Ciaz facelift that has been put out shows an updated dashboard. The Ciaz facelift also gets a host of changes to its safety and equipment list. The Ciaz is a good seller in the C-segment space, behind the Honda City and these changes will help it stay relevant to buyers. The Honda City has undergone a facelift while the Verna has seen a generation change since the Ciaz was first launched. Prices of the facelifted Ciaz, when it launches later this year, can be expected to be a slight premium over the present car. 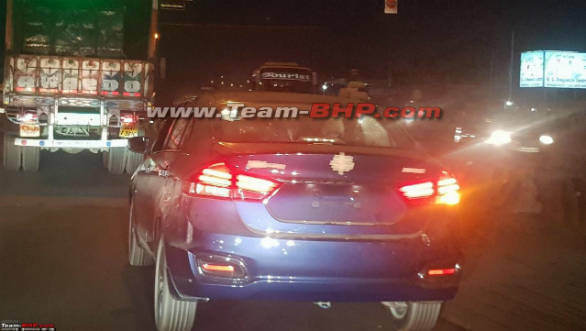 The Maruti Suzuki Ciaz facelift will reportedly be launched in the country on August 20. Some Nexa dealerships have already begun accepting pre-bookings for the refreshed sedan for an amount of Rs 10,000 to Rs 25,000.